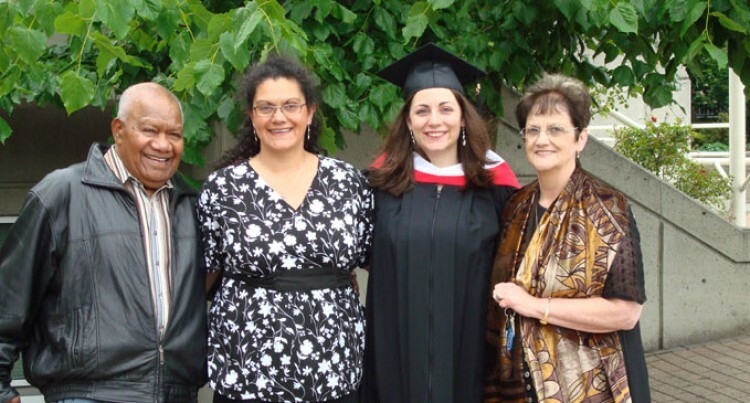 Ratu Isireli Sevadra (left), with wife Patsy Corwin (right), and daughters Roberta MacKenzie and Rebecca MacDonald. Ninety-three-year old Ratu Isireli Sevadra is looking forward to meeting his grandnephew, Prime Minister Voreqe Bainimarama. The former diamond driller has spent 69 years in Canada after arriving as a raw 24-year-old in 1946. Ratu Isireli will be attending the Fiji Day celebrations, along with wife Patsy Corwin and daughters Roberta MacKenzie and Rebecca MacDonald. Ratu Isireli worked as a diamond driller for 30 years all over British Columbia with Bralorne Mines, Britania Mines and Tezada Mines. Ratu Isireli’s father is Ratu Voreqe Bainimarama (Snr) who is the older brother of Prime Minister Bainimarama’s grandfather. Ratu Isireli attended Delana Primary School in Levuka then attended Saint Columbus in Suva. Prime Minister Voreqe Bainimarama leaves for Canada on Monday. He will be the chief guest of the Fiji Day Celebrations from August 7 – 9, in Surrey, British Columbia, the biggest city in Greater Vancouver. The chairman of the Fiji Celebrations Canada, Netani Gucake, said they were looking forward to the visit. “This will be the first time for Prime Minister Bainimarama to visit us and we have prepared a programme for the visit,” he said. The programme involves presentations by native Canadians, iTaukei, Indo-Fijian, Tongan and other cultural groups. It ends next Sunday night with entertainment by popular Fijian singer Jimmy Subhadas. Dinner with the Prime Minister Voreqe Bainimarama and Mrs Bainimarama and the Red Carpet Gala Night, “Miss Fiji Canada pageant,” 50 contestants. n12.30-1.00pm: Honourable Prime Minister Voreqe Bainimarama addresses dignitaries, invited guests and all Fijians and friends of Fiji followed by the speeches from the mayor of the city of Surrey, British Columbia, MLAs and MPs and two from the Fijian community. 12noon -3.30pm: Honourable Prime Minister Voreqe Bainimarama and Mrs Bainimarama meet and greet all Fijians and taste all the Fijian cuisine in all the stalls.